The "western-style" hotels are usually a little expensive with the standard rates, but not more than they are in Italy, but often you can find promotions and offers that make them much more convenient. 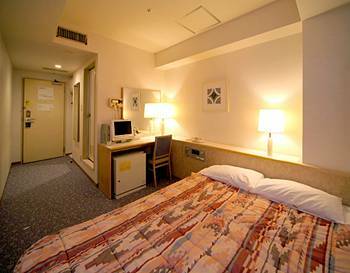 The most economically convenient are the business hotels, called "business" because mostly frequented by people (Japanese) on a business trip. 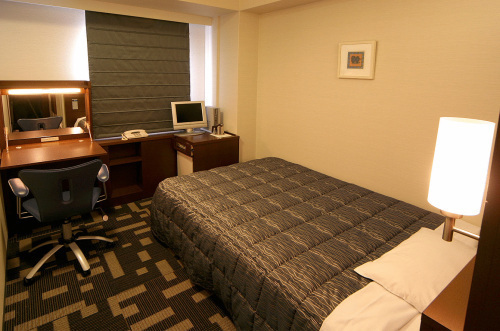 Rooms are usually quite small (but in Japan the average size of the rooms is low). They are in all cities and many in Tokyo and Osaka. Another cheap enough option are some very big hotels that you find in larger cities, for which there are some particularly attractive offers if you book in advance and through websites like lastminute or expedia. This hotel in fact have several hundred rooms and in no time of year for any reason there is a risk that there will be sold out. So some rooms are sold at very competitive prices by booking well in advance. For example in Shinjuku (Tokyo) the Washington hotel or the Sunroute hotel, big hotels in a very good position (Nishi-Shinjuku) with all the comforts where I slept paying 37 and 48 euros per night in march.